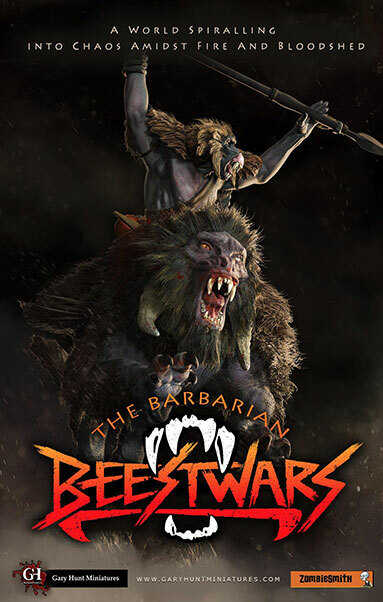 Beestwars is a free quickstart PDF of our upcoming skirmish game designed for use with my Fantasy Warr range. Beestwars is a conversion of Zombiesmith's popular Shieldbash system, modified for my Fantasy Warr figures! Rules will have regular updates as new factions become available, we'll also be adding maps, statistics and extra rules to this system. Stay in-the-know join me on Gary Hunt Miniatures Facebook page https://www.facebook.com/Gary.Hunt.Miniatures/ or join the mailing list on [email protected] for irregular news.